The rector at St. Joseph’s Oratory in Montreal was stabbed as he said mass in the church. 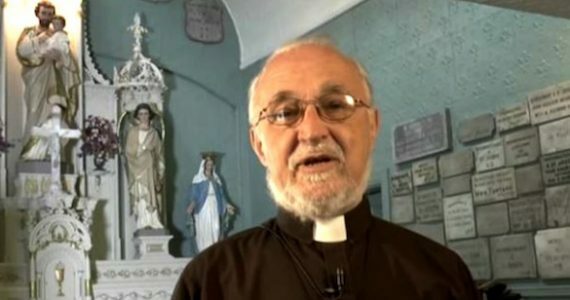 Footage from the 8:30 a.m. mass on Friday, March 22, 2019 was broadcast on a Catholic television network, showing a man dressed in dark clothing walking toward the altar. The man rushed toward Father Claude Grou, striking him at least twice with an object in his right hand. The suspect did not resist when he was subdued by security guards. Police spokesperson Caroline Chèvrefils said the 26-year-old suspect is known to police. Fr. Grou, age 77, was taken to hospital. Grou, who is a member of the Congregation of the Holy Cross, has been at the Oratory since the early 2000s. The Oratory in Montreal is visited by more than 2 million people every year. The Oratory is the largest church dedicated to St. Joseph in the world and the largest church in Canada. “We are all shocked by this act of violence that has taken place in our city, in a space dedicated to peace,” the archbishop’s message said.